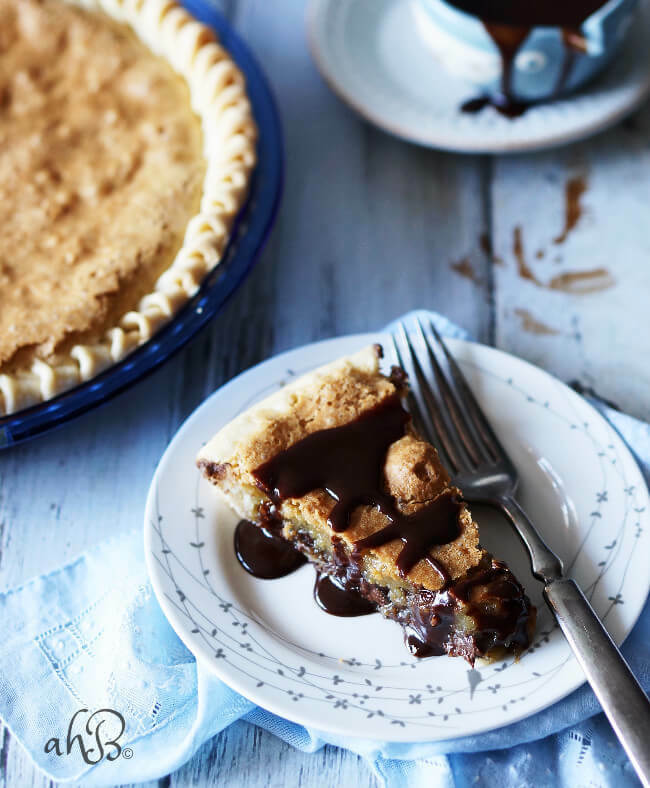 Chocolate chip cookie pie takes the best parts about chocolate chip cookies and transforms them into a rich, over the top, decadent dessert that’s simple to make. Imagine the center of a chocolate chip cookie, still warm from the oven. As you sink your teeth in, it’s the perfect texture; soft, buttery, sweet. The chocolate chips are still melty and you find yourself licking chocolate off your lips and the corners of your mouth. That’s what chocolate chip cookie pie is like, except bigger and better. 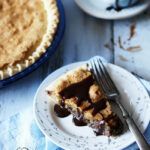 Today’s chocolate chip cookie pie recipe is my contribution to the Yum of the Month challenge. It was Wajeeha’s turn to choose the challenge theme and having seen many scrumptious chocolate recipes on her blog, it wasn’t a great surprise that she chose chocolate chip cookies. 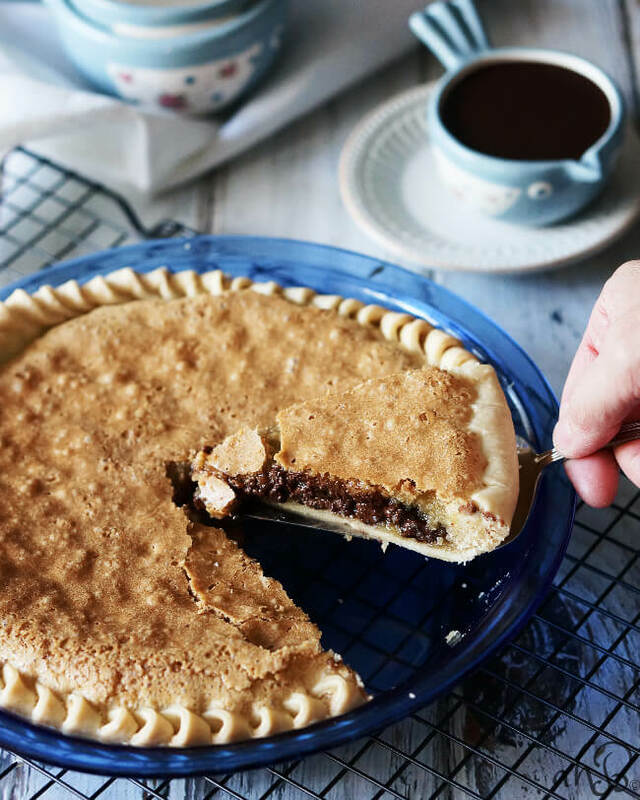 This chocolate chip cookie pie is one of the easiest pies to make ever. Perfect for young and aspiring bakers. There are few steps and few ingredients needed. When pulled from the oven it’s appearance is rather underwhelming, tan with some bubbly spots and no chocolate chips in sight. But when you cut into this pie, you’ll see the lovely layers. The top layer is buttery, sweet,and soft cookie. The bottom layer is melted chocolate chips. And then its all held neatly together with tender pastry crust. Serve it with ice cream, whipped cream, or chocolate sauce warm and wait for the oohs and ahhs. Chocolate chip cookie pie takes the best parts about chocolate chip cookies and transforms them into a rich, over the top, decadent dessert that's simple to make. 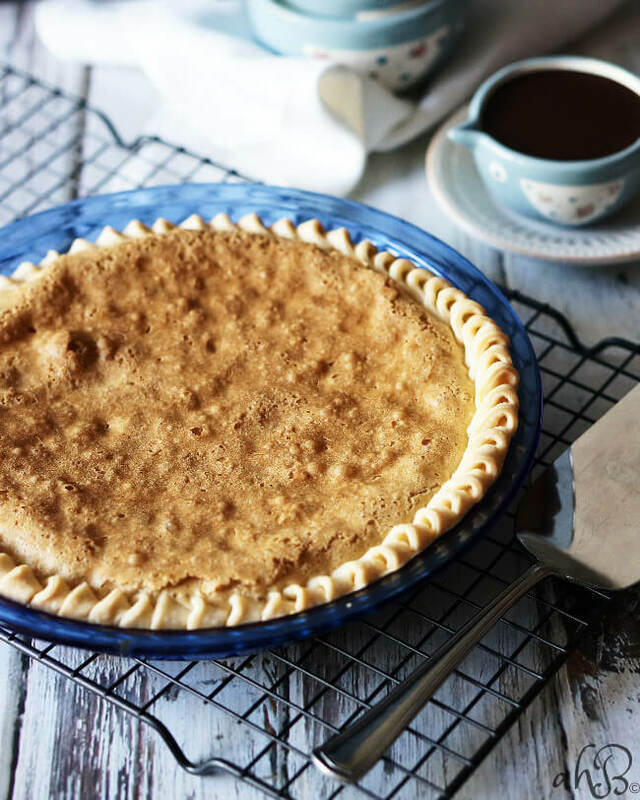 Prepare and flute your pie crust in a 9 inch pie plate. In a medium sized bowl, beat the eggs until they are light and foamy. Add in the sugars and vanilla and beat well. Next add the softened butter and beat until it's completely incorporated throughout and no lumps remain. Add the flour and mix on low, just until mixed. 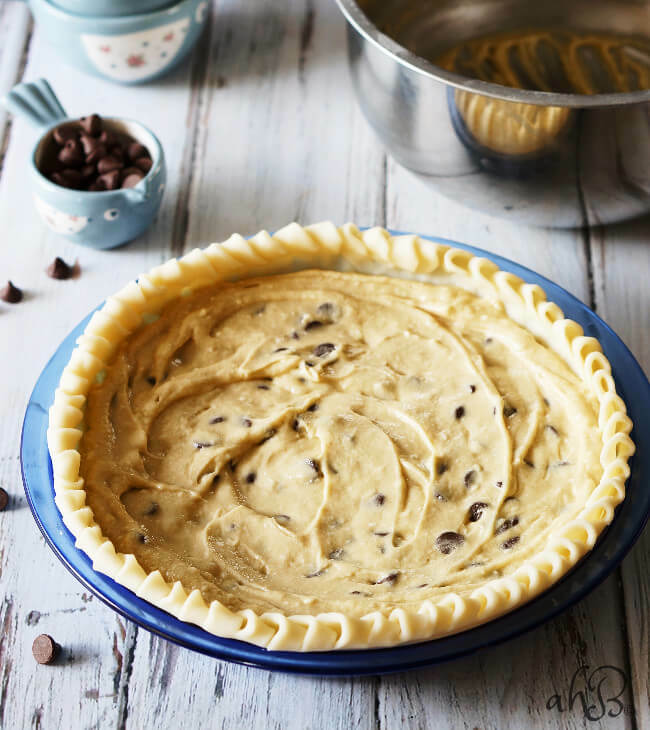 Stir the chocolate chips in by hand and spoon the filling into the prepared pie crust. Bake at 325 degrees for 60-65 minutes or until golden brown. 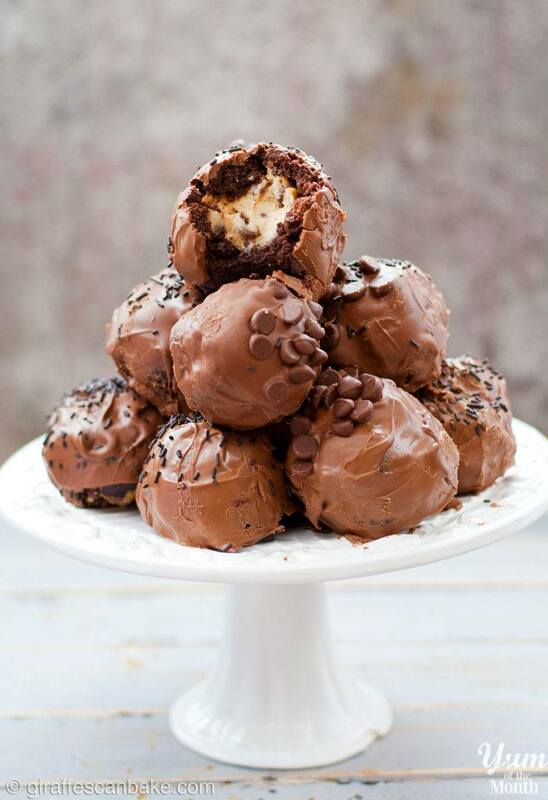 For today’s YOTM theme, Michelle over at Giraffes Can Bake made eggless and gluten free Cookie Dough Brownie Bombs! If you have a gluten-free eater in your life, they will love you forever if you bring them a plate of these sweet indulgences! Who can resist peanut butter and chocolate together? 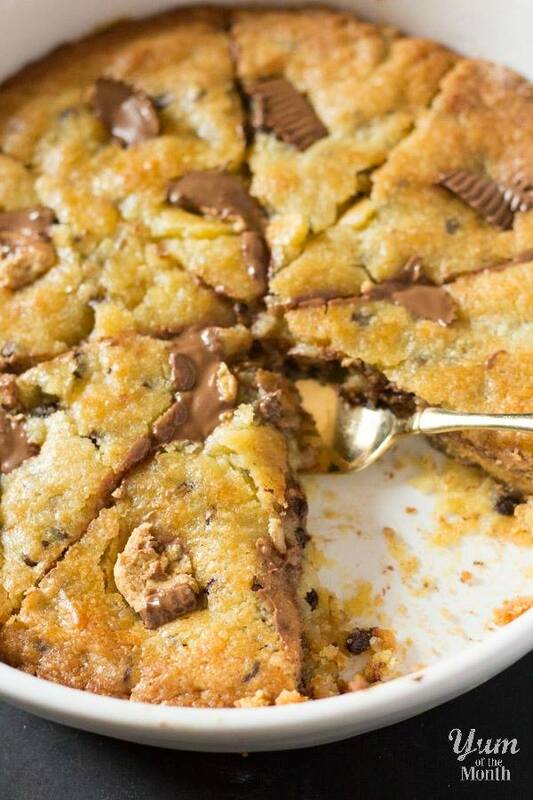 Wajeeha’s Giant Chocolate Chip Cookie Stuffed with Peanut Butter Cups is the best of both worlds! You can find the recipe for this divine cookie on her blog, I Knead to Eat. Do you pre bake the crust. Nope, no pre-baking necessary Sharon. The filling goes straight into the crust and it’s all baked together. Super easy! 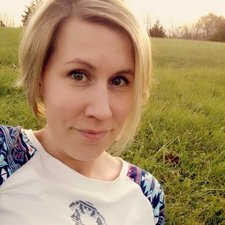 This is soooooo perfect Amy! All that warmy, gooey, chocolate chip goodness?! What could be better!! Thanks Michelle. It is pretty over the top gooey chocolate chip goodness! I have one of these sitting in my freezer right now that I’m saving for a really bad day when I could use a pick me up.